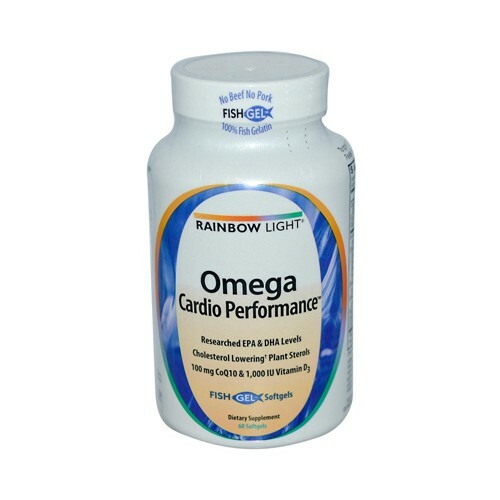 Comprehensive Omega Formula for Heart Health Support with naturally occurring omegas, including EPA and DHA at researched levels for cardiovascular health supported by leading health organizations (AHA, ISSFAL and GOED). A full essential fatty acid profile necessary for healthy cell membrane function and normal inflammation response. Plant Sterol Esters promote normal cholesterol levels. Foods containing at least 0.5 g per serving of phytosterols eaten with meals or snacks for a daily total intake of 2 g as part of a diet low in saturated fat and cholesterol, may reduce the risk of heart disease. A serving of Omega Cardio Performance supplies .6 g of phytosterols. Optimal dose of CoQ10 benefits heart muscle function and facilitates cellular energy Helps keep blood flowing to feed organs and tissues while protecting against oxidation. Free Of Hexane, heavy metals, dioxins, PCBs, artificial colors, flavors, sweeteners, preservatives and other objectionable additives, sugar, lactose, dairy, wheat, gluten or yeast. Disclaimer These statements have not been evaluated by the FDA. These products are not intended to diagnose, treat, cure, or prevent any disease.